A branding technique which can produce outstanding dimensional results though thoughtful design to showcase a brand. 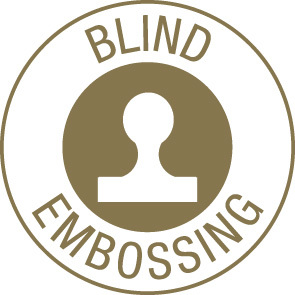 Castelli have perfected the art of blind embossing a promotional product by combining modern laser cut dies and a range of specially selected substrates that are only enhanced by the hot stamping process. The Tucson material was one of the founding materials within the Castelli collection and can boast exceptional blind embossing capabilities. 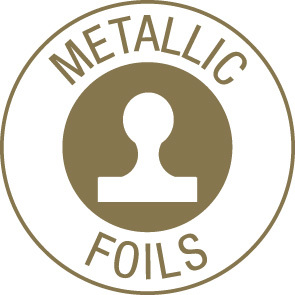 Sumptuous metallic foils create a distinctive look and feel to our branded product. Use individually or combine together for a truly impressive presentation. You can achieve fantastic branding results with our high quality gold and silver foils, hot stamped onto your promotional product. 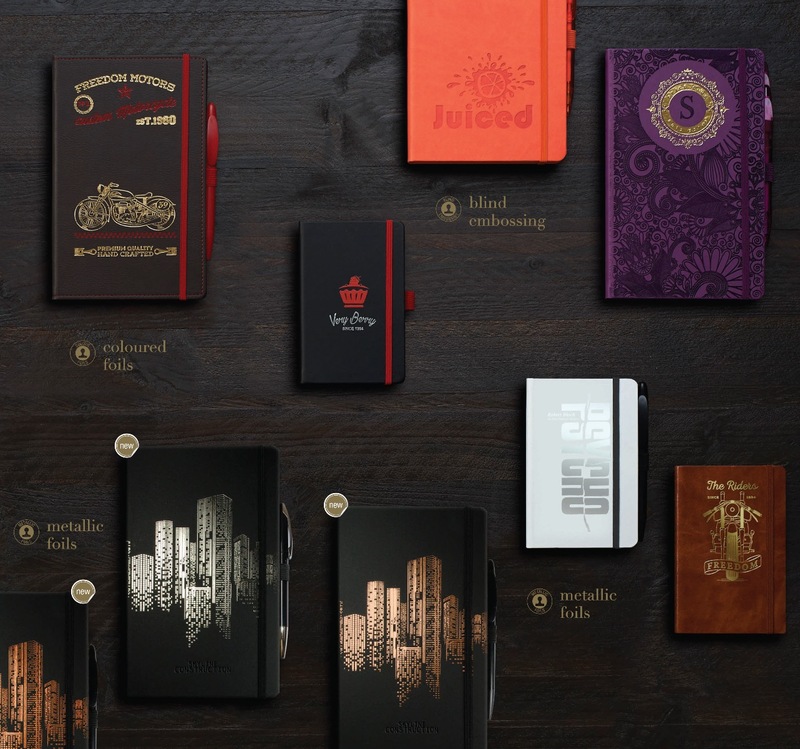 Explore our brand new rose gold, gunmetal and copper foils to elevate your message further. Enforce your brand image by utilising colour foil on your chosen product for a coherent look. 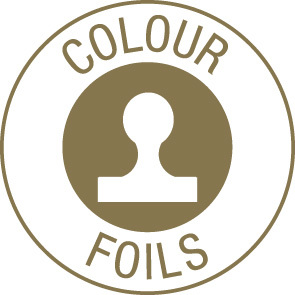 Match coloured foils to your brand or use as an accent to enforce your logo and message. A selection of colours are available from stock or we can organise other foil colours upon request.